Kinda hungry, gonna eat some spicy tuna I bought at Mitsuwa yesterday. I’m in such an awesome mood. Birthdays are the best. 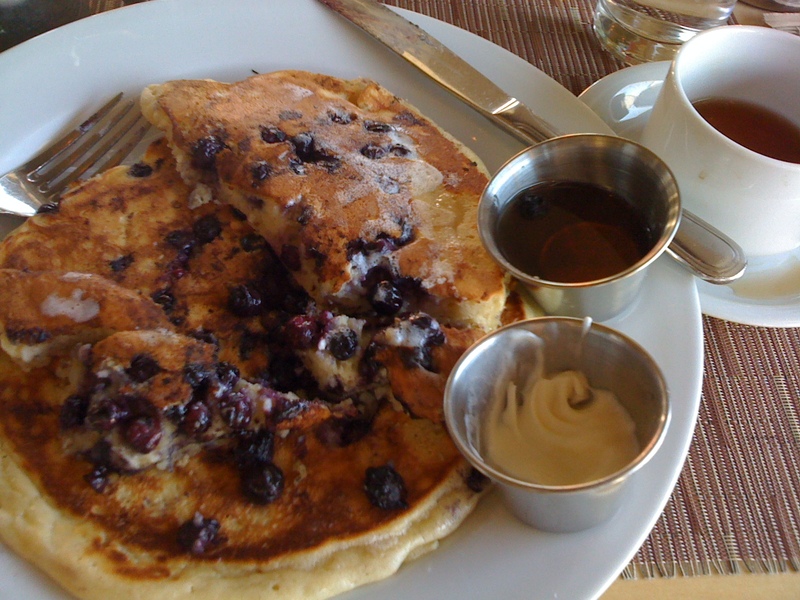 UPDATE: Those blueberry pancakes from BLD were amazing. The best part about them is how well they kept. I just finished them off twenty minutes ago. So good! 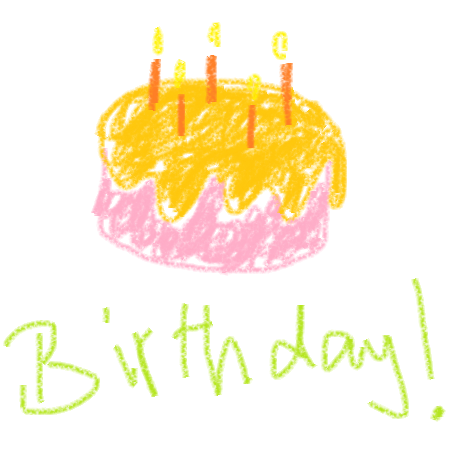 This year’s birthday was the best I can remember, and not just because I can’t really remember any of my other ones. I was in an awesome mood from start to finish, even when Boyfriend had to go meet another DP at an open house (and the guy didn’t even show; he had to work). It was such a great day. disregard our facial expressions. we had an awesome time. I went to Barney’s Beanery with some friends, were I got a complimentary “Birthday shot” that tasted like sweet lemons. 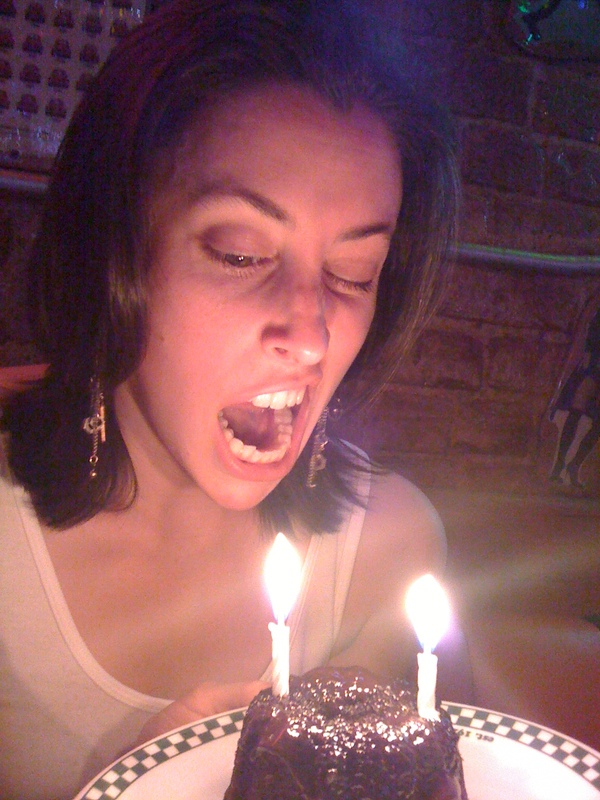 Then I had an Abita beer, and another shot of Tequila, followed by a tiny lava cake with candles! 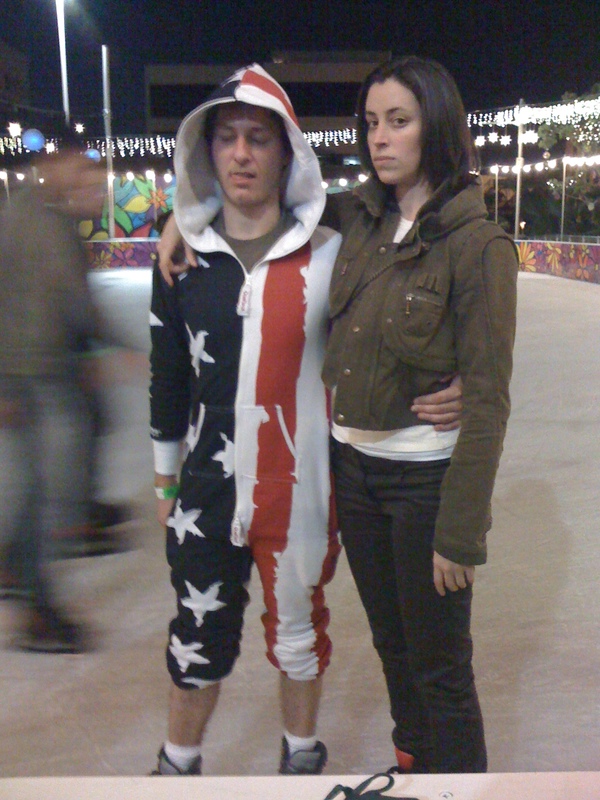 I was mostly drunk while ice skating, where I encountered this guy in a onesie. He and his lady friend were really nice, and just starting to learn how to do couples skating. I woke up around 4am to throw up because of all the alcohol (although that amount of alcohol never would have made me puke before), but that technically wasn’t my birthday anymore! So who cares! Yay!